New Tulip Festival banners hang on 40 light poles in Orange City. The new banners were paid for in part by a grant from the Iowa Tourism Office. 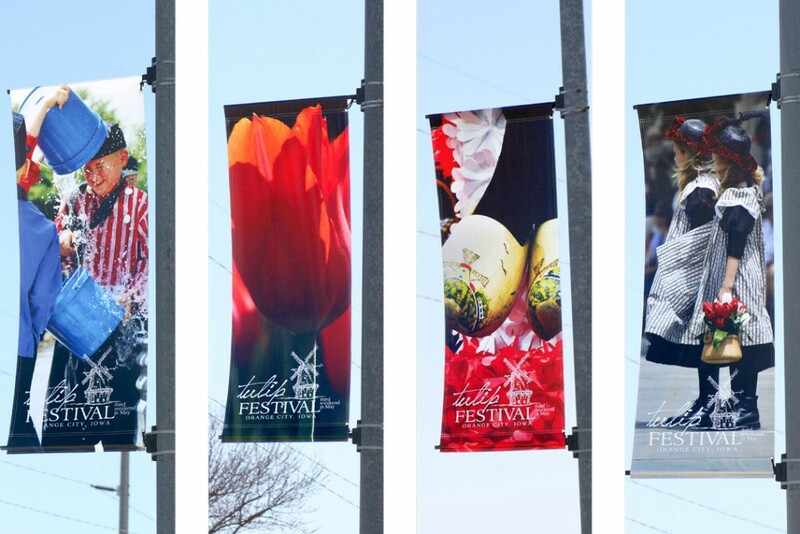 New Tulip Festival promotional banners were recently hung on 40 light poles in Orange City after the Friends of the Festival Foundation received funding from the Iowa Tourism Office. The new light pole banners were paid for in part by a $5,000 grant from the Iowa Tourism Office. The banners feature four Tulip Festival scenes, depicting the Dutch heritage and events that highlight the festival each year. Ten banners of each of the four designs were created, and hang along Albany Avenue and 8th Street/Highway 10.  In addition to the financial support of the festival’s new light pole banners, the Iowa Tourism Office actively assists in the promotion of travel to Orange City and Tulip Festival throughout the year. “We are grateful for our partnership with the Iowa Tourism Office and their continued work in promoting travel to our community and around Iowa,” says Pennings. 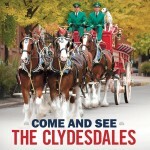 Information about the Iowa Tourism Office and the state’s many destinations and events can be found at www.traveliowa.com.